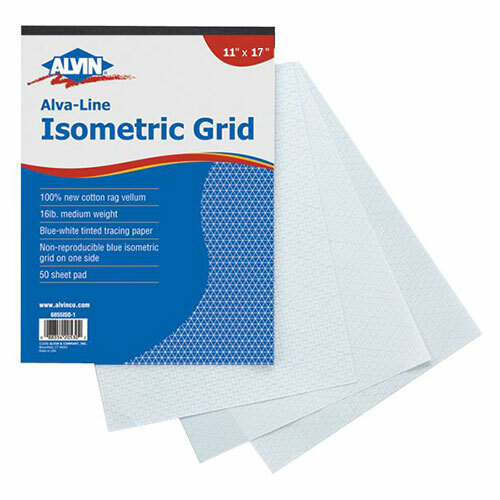 Alvin 6855ISO-7 - Alva-Line Isometric Grid Pad 11" x 17"
Printed in a non-reproducible blue ink on Alva-Line blue-white quality tracing paper, the isometric grids are clear, sharp, and accurate, yet won’t reproduce on Diazo prints. 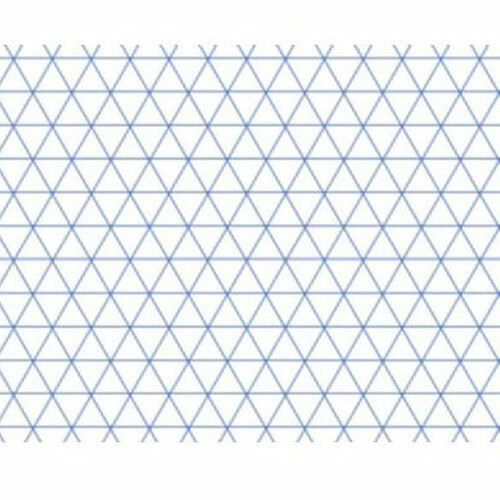 All grids are printed on the underside of sheets to prevent removal during erasure. These medium weight, 16 lb. basis, .00275 thickness, pads are ideal for use by engineers, draftsmen, architects, graphic artists, etc. 50-sheet pads. 11" x 17".